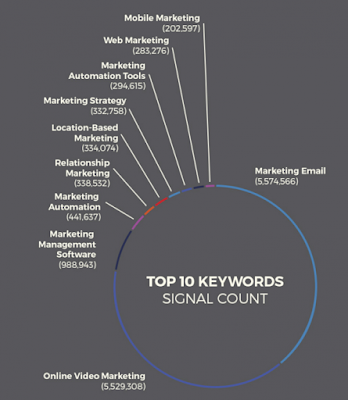 Email marketing offers the highest ROI of any online marketing channel and is the most searched marketing topic by industry professionals. Knowing this, it is critical to up your game for this channel and ensure you are using the most effective tactics. Are you looking for ways to keep your email marketing at the front of the pack in 2017? If so, you are on the right track for a successful year! 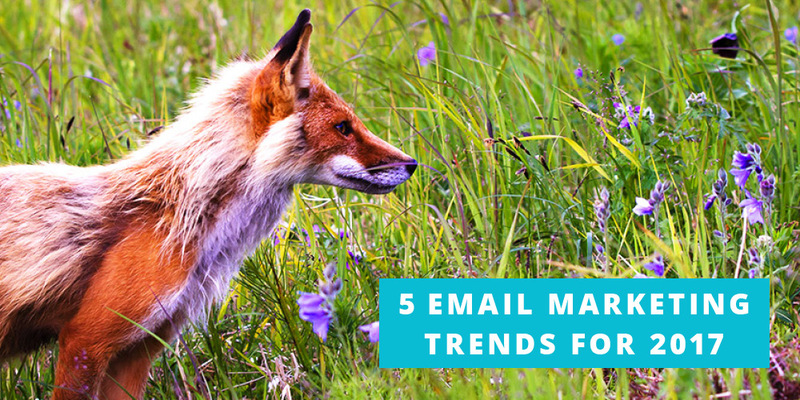 To help you prepare, we have researched and combined five of the biggest trends in email marketing for the coming year. For each trend, you’ll learn what it is, why it’s important and how you can take action. 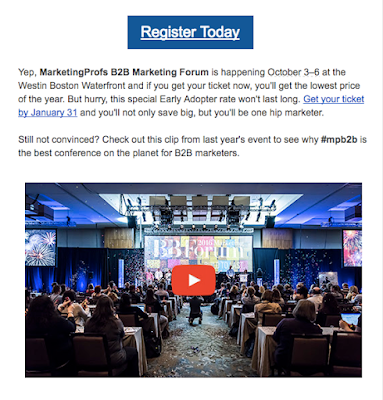 By the end, you will have the know-how to help you plan a competitive email marketing strategy up to par with industry trends. This first trend towards increasing interactive content has been growing for the last few years. Instead of sending an email that is just intended to be read, this content prompts engagement from the recipient. So why is interactive content so important? To start, it provides a more personalized experience for the individual. But it also does more than that. It tends to be more compelling than a plain old newsletter. The fact that the user can actually get involved with the experience increases interest, improving the overall engagement and conversion rates. To show how big this trend is, and its potential for growth in 2017, consider the results of a survey from Content Marketing Institute. Of the content marketing professionals questioned, 53% said that they are already using interactive content. Of those that already use it, 75% said that they expect to increase their use in the future. 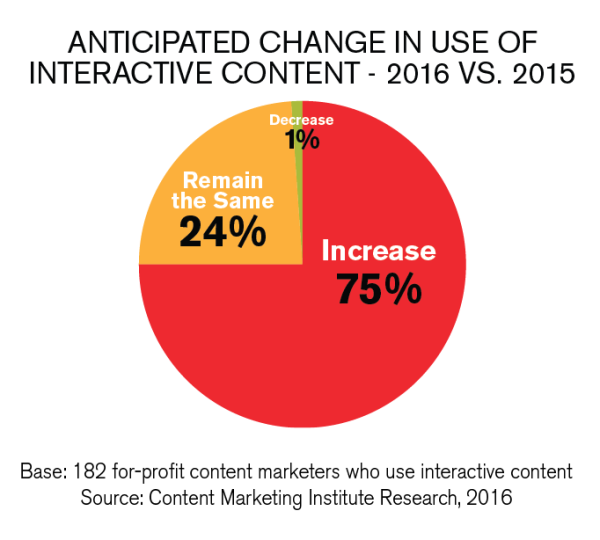 These numbers show that once a marketer sees the benefits of interactive content, they usually plan to increase its use moving forward. How can you respond to this trend? If you want to keep up with competition, you are going to need to study different types of interactive content that can be used in email, and develop a strategy to integrate them. Let’s take a look at a few of the options. Video can be a good way to increase engagement. The data shows that open rates can go up by close to 20% and that click-through rates go up by more than 50% when an email has a video. It is a fairly simple way to get more from your email marketing, so it should be a part of the plan. mage carousels can also work well in interactive content. They give you the ability to showcase multiple items, and the users can either scroll through as they wish or the carousel can run in front of them. This option allows you to get the most out of the prime location in an email format. GIFs– According to an Experian Email Market Study, about half of all marketers are already using GIFs in their emails. 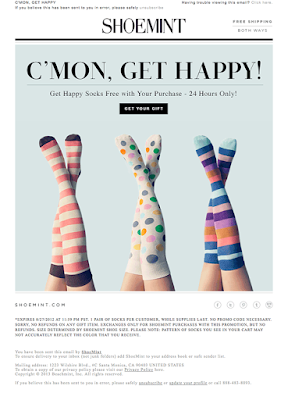 They can be fun image loops that get the attention of the user and showcase products. Learn more in this post from Campaign Monitor. EmailTools is a super easy tool that allows you to add videos right into your emails. Feedback mechanisms increase interaction rates and give you more information about your audience. You just put the feedback menu at the bottom of the message, and customers will respond to let you know what they think. Image Rollovers– If you are trying to showcase products, image rollovers can be a good way to provide interaction, while also giving the email recipient a good look at the product. Provide images of the front of the product, and then when the user hovers the cursor over the image, it can switch to the reverse side. Ordering Capabilities allow customers to make purchases within the email. You could include features that allow the person to place an order, or if the products have different options, you could add a menu that allows them to customize their purchase. Tabs– If you have a lot of content, creating an email with tabs is a great way to get it all in there without crowding. The user can navigate through the tabs to get the full experience, and everything will look better as a final result. Hamburger Menu– As an alternative to tabs, you could also add a hamburger menu. It works the same way that these menus would on your website, and it can provide a more organized email that will make for a better user-experience. Quizzes and polls are some of the most simple types of interactive content, but they are also very effective. They have shown a high rate of interaction, and can be a good way to learn more about your customers. If you clicked through earlier when we were talking GIFs and grabbed EmailTools you are in luck! The 4-in-one suite also includes a survey creator! While getting into interactive content is fun, there is a lot of work to be done to make it work. The biggest challenge is designing the emails so that they will look the same across different email platforms. Some email clients have a limited ability to work with interactive content, and some images and elements may not work the same depending on the email service. It will take cooperation with your graphic design team to ensure the emails end up looking and functioning how you want them to. Omnichannel marketing encompasses this gathering of information from all channels to create optimized marketing experiences. Some businesses may believe that they are already doing omnichannel marketing because they have a website, a social media presence, and they use email to communicate with customers. However, the simple act of communicating through a range of different platforms is not omnichannel marketing, it is multi-channel marketing. Omnichannel marketing takes multi-channel marketing and moves it up a notch by unifying the experience in a way that is more fluid and consistent across all points of contact. A good example of a strong omnichannel experience is the UK fashion retailer Oasis. If an online shopper finds that an item is out of stock at their warehouse, a feature can be used to find a store that still has the item in stock. The item can then be shipped to the customer and a confirmation email will be sent to let the customer know that it is on the way. As an added integration, they also provide all of the in-store staff with iPads. This allows the staff to check the immediate availability of items, and if the item is out of stock at their location, they can use the iPad to place an online order for the customer. Omnichannel marketing is important because it is a response to the way that people shop in modern times. Today, the customer journey commonly takes place across many channels online as well as offline. A customer might do research on the product and make comparisons on the internet, but then they head to a brick-and-mortar store to make the final purchase. To meet the needs of this cross-channel shopping experience, a brand needs to allow the user to pick right up from where they left off whether offline, online or at any stage of the purchase process. To implement omnichannel marketing, you need to put yourself in your customer’s shoes. What is their experience like when interacting with your company? How can email be used to enhance that experience? You will need to create a plan that integrates email to support other touch points from your website, to social media, to a brick-and mortar store. For more ideas on how big brands are utilizing omnichannel marketing, check out these examples. Next up is targeting based on behavior. This is a big one that can make a huge difference in your returns from email marketing by increasing engagement and conversions. There are a variety of different ways that you can employ this strategy, and some of them are fairly simple. As an example, when a user signs up for your service, you could send them a welcome email. If a customer abandons items in their shopping cart, you can send them a message to remind them. If a customer has not been active in a while, you can send them an email to remind them of your brand. Why is it so important to target emails by behavior? Quite simply, people like them more. 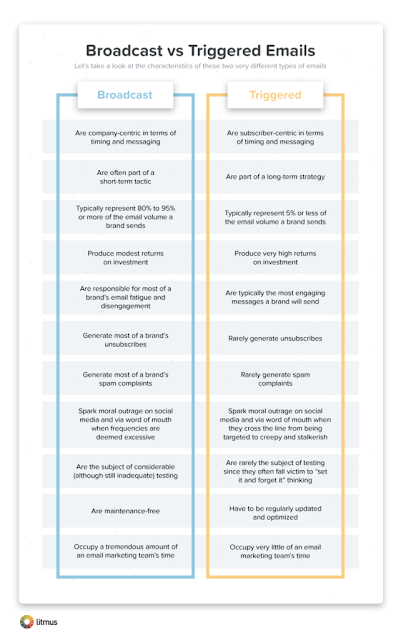 They are more relevant and personal which results in more opens, clicks, and customer satisfaction.Check out this comparison of the old broadcast emails vs. triggered emails for a more in-depth look at the differences. To take advantage of this trend, there are some steps that you will need to take. The first step is to gather information about your customers. To do this, you will need to track the actions of customers as they interact with your brand. Once you identify behaviors that signal buying intent, you can design emails that respond to them. With an automated system, you can set up emails that are triggered by different behaviors. 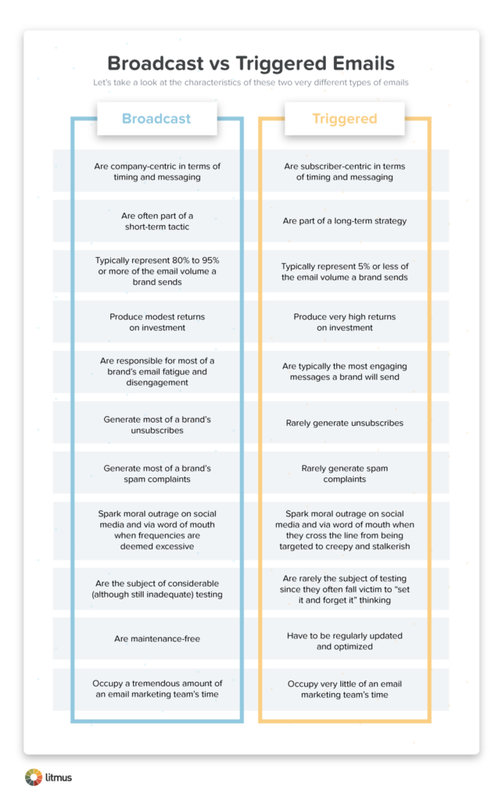 If you need help planning your behavioral email marketing, we think this article from Smart Insights is a good guide. It has a planning template that can help with developing email campaigns for your business. Does all of that sound like a lot of work, well that’s where a tool like Sendlane comes in handy. With built-in triggers, you can teach up your email marketing platform to do the work for you based on set parameters. It’s important because it can help you to track your audiences behavior across all channels, analyze it, and automate responses for different triggers. This allows you to scale up your operations without losing leads and while maintaining the personal touch that consumers demand. You will need to choose a marketing automation platform that best suits your needs. We love Sendlane, but there are other options out there. Next, you will gradually build out your automation. You want to eventually be tracking and analyzing all of the channels you market on. Then you will get a more holistic view of your buyer’s journey and you can you can plan the triggers you want to send automated responses to. Email plays a key role in various parts of the customer’s journey but is only one piece of the bigger puzzle. For a step-by-step guide on email automation, we like this post from Wishpond. It can walk a beginner through the process and it provides a few helpful tips for getting the most out of the campaign. 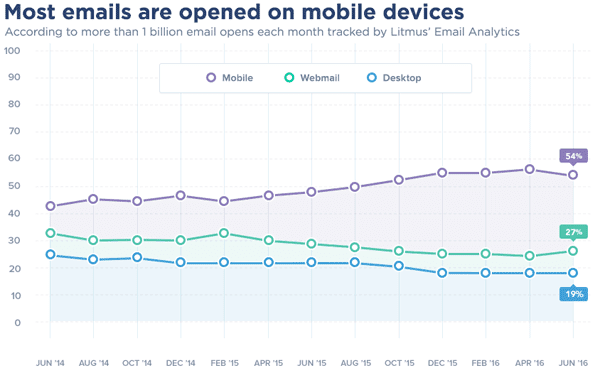 Our last trend is mobile as we are continuing to see an increase in the amount of email that is being accessed from mobile devices. According to email analytics statistics from Litmus, 55% of emails are already being opened on mobile. Furthermore, a report from the Radicati Group states that 80% of users will be accessing their email from mobile devices by the year 2018. So it’s showing no signs of slowing down. How does that benefit marketers? A 2016 report from Fluent showed that 38% of users have purchased from a smartphone after receiving a marketing email, while 45% go to a retail store and 47% purchase online. So you can influence your audience to buy through email. As a marketer, there are several steps that you can take to prepare for the increasing push toward mobile email. Mobile email templates– To start, you want to develop email templates that are suitable for mobile devices. If your emails look good on the device, people are more likely to open them and to follow the desired path they provide. Here are 25 free mobile email templates to get you started. Limited Subject Lines– On mobile devices, you have less room for the subject line. To accommodate for this, you are going to want to start coming up with shorter subject lines for your marketing emails. As a rule, emails for mobile should have a subject that is 30 characters or less. Check out this post on creating powerful headlines for more ideas. Making the Most of Limited Time– When a mobile user opens an email, you tend to have a shorter attention span to deal with. To accommodate for this, you may want to consider going with less text and more images (carousels or videos?). One important point is to consider how the image is going to look on the mobile platform. Some images that may be useful on a desktop screen may not work quite as well through the smaller mobile screen. Engaging Preheater Text– Many email users will decide whether they are going to open a message based on the pre-header text. If you want to increase your mobile email open rate, the pre-header needs to be interesting, and it needs to be written in a way that compels the reader to open the mail. Clickable Buttons– Compared to the screen of the mobile, the average user’s finger is going to take up a considerable amount of real estate. If you want people to be able to click-through, you need to provide them with clear action buttons that are big enough for them to click without any problems. If following the link is difficult, many people will just give up. This guide covers the specifics. Mobile-Optimized Landing Pages– Even if you get the person to click through, you have only achieved half of your goal. Obviously, you want them to engage in some specific way once they have followed the link. For this reason, you need to make sure that you have landing pages that are optimized for mobile. If the page doesn’t look good or it is difficult to use, you are going to lose a lot of people that took the time to click-through. 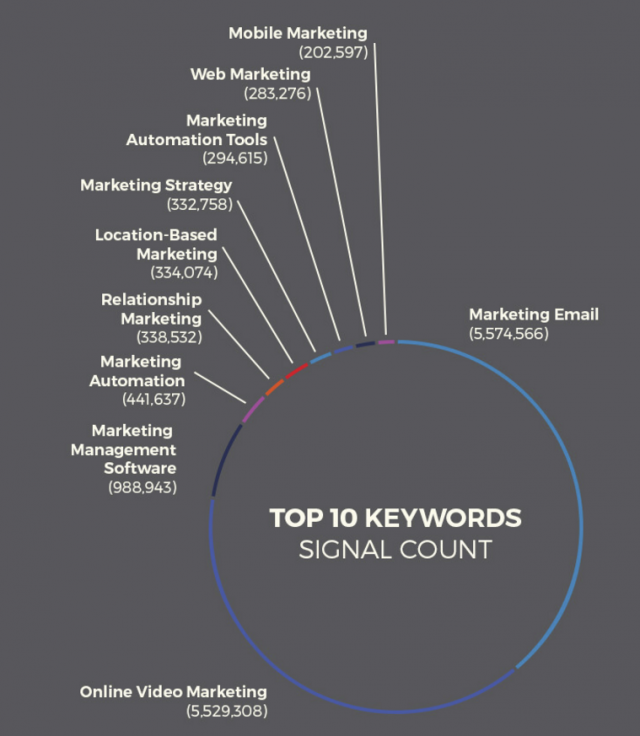 Measure Results– Finally, you want to track the results of your email marketing. Follow stats for metrics like the open rates and click-through. By following the results, you can gain insights that will be helpful for future campaigns. For tips on growing your mobile email list, check out this article from emailmonday. You’ll find some good advice for connecting with mobile users, and getting them to sign up for your mailing list. Interactive email is a great way to increase engagement. Move beyond multi-channel and start working omnichannel. 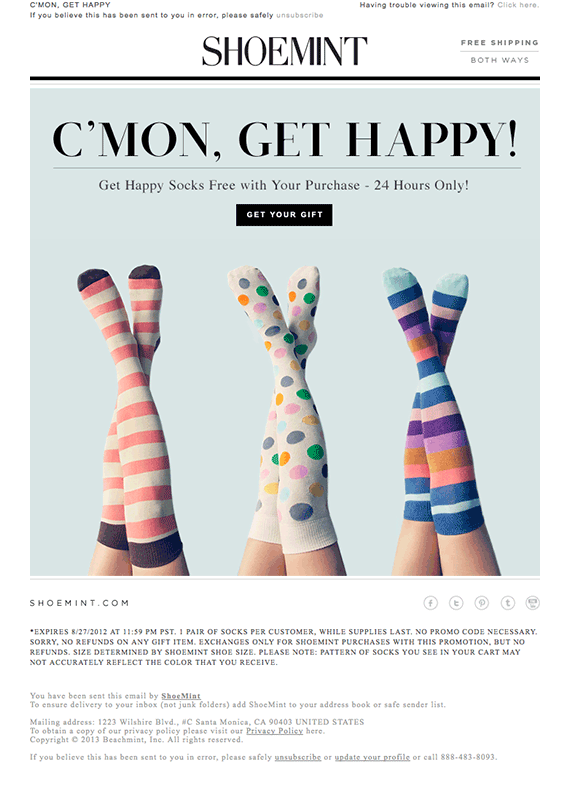 Plan emails that can reach customers based on their behavior. Get the most out of behavioral targeting by using automation. Optimize your email campaigns for mobile. 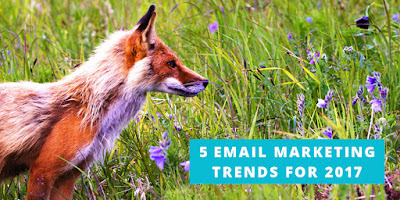 What is your opinion of the coming trends for email marketing? Do you have any questions about any of the email marketing tips that we covered? Let us know what you think in the comments section below.